The family of teenage Palestinian protest icon Ahed Tamimi says they have been banned from traveling abroad. He said they were set to leave last week upon initiation by pro-Palestinian groups in Belgium, France and Spain. There was no immediate comment from Israel Sunday. 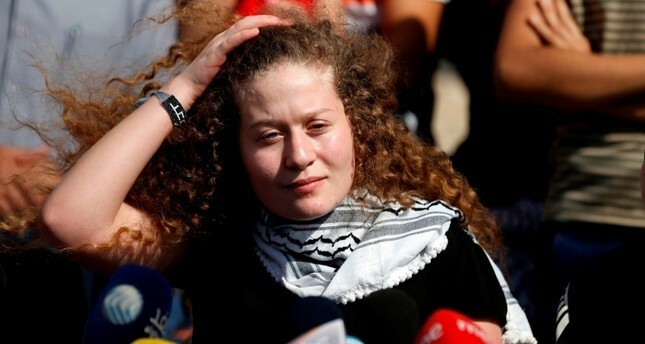 Ahed, 17, was released from Israeli prison earlier this year. She was arrested in December after she slapped two Israeli soldiers outside her home. For Palestinians and their supporters, she became a symbol of resistance to Israel's half-century-old military rule. After his daughter's release in July, Bassem Tamimi said that his family was seeking "to continue normal life" and had stopped the weekly anti-occupation protests in Nabi Saleh where confrontations with Israeli soldiers are common. However, he added, sometimes "the occupation forces you to resist because there is no other way."